I think I took the Internet for granted until I read your post. I've heard of this but didn't pay it enough attention. Yes, it's so important that we keep the Internet neutral and available to everyone. Without hurdles. Gosh, I haven't heard anything about this. Thanks for bringing it to our attention. I read about the court ruling on Net Neutrality. No way I'd pay extra. I've been keeping a wary eye on this. You've summed up the situation well, Diane...thanks! I think/hope this is an American thing. I haven't heard anything about it here, but I could be totally wrong. I hope we don't have to pay any more, I pay enough for internet access in Canada as it is. 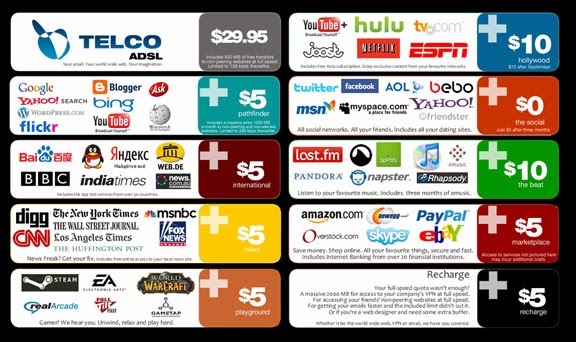 This is the first I've heard of net neutrality. It is easy to see that once they begin to place a value on things, it will change EVERYTHING. Your searches will be inaccurate unless you buy into the Top Tier. I The rights of the people are once again being leveraged against the desire of telecom companies to increase their profits. Thank you for the excellent summation. I didn't understand it at first but I've educated myself lately. 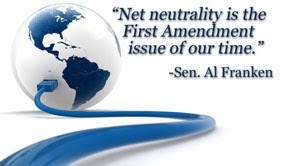 I'm horrified that the end to Neutrality is even being considered. A good summation. I always try to keep a non-panic perspective until something actually comes out of it. I had no idea this was going on. Kind of scary. 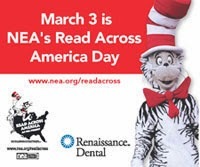 As for The Cat in the Hat, it's absolutely my favorite Seuss book! Jo, I don't know if it's international or not. Let's hope the court overturns their ruling soon. I'm wondering if that's part of Amazon's CEO's business plan that I've been reading about. Hmmm. Not good for the online peeps. Wonder how it bodes for investors? I have a huge opinion on this, because the Internet is my work. And this is why I hate Comcast and other telecoms pushing for this crap. As their cable subscription numbers are sliding, they're finding new ways to screw people. China has created their nice version of the Internet without thoughts or opinions that contradict what the government thinks, and these companies are in a way pushing for something far too similar. I am overjoyed that Google is expanding its Fiber service to help combat this garbage. In the end, any time you start to constrict the free exchange of ideas, you become a tyrant, which is exactly what these telecoms are positioning themselves to be. Thanks for this. I have a hard time sort of delineating what means what and this was helpful. Good reminder we all should pay attention. Interesting. Here is New Zealand we don't have unlimited bandwidth. I think most people pay for between 10-30G per month. We use more, but really pay for it. It's only been in the last few months that one of the new competing companies offers an unlimited package. Yes, the Net should continue to be open and free. Otherwise, information will be controlled and muted. I can't believe anyone would think it's all right to give a "tiered" system. All the complaining about being nickled and dimed by taxes and costs everywhere, but it's okay for the internet? Wow - lots of things I didn't know! I'm going to have to dig in to learn some more on this! I knew some of this, but not all. Thanks for the eye opener. Your posting is a bit of a revelation. A free, independent internet and may I add, without the world's governments spying in on our emails. I heard of it, but didn't understand it until now. Hopefully the internet will remain free. I think it has to, since that's what the majority wants. I had heard a bit about this, but your post was very informative and helpful. Definitely don't want to have to pay. Great job breaking this down. The Internet is one of the great equalizers. Hopefully this will get struck down again. Hadn't heard of this~ thanks for the explanation! Steven, that's exactly what my husband said - the cable companies are losing money and finding new ways to screw people. Medeia, it's all up to the courts. I really hadn't heard of Net Neutrality. But it's certainly something I'd like to keep! I'm ashamed to say I knew about this. I must be living under stone. Now I feel all icky. BB strikes again. This could get very out of hand. Thanks for the heads up!